and stands at 100ft high to the top of the cap. 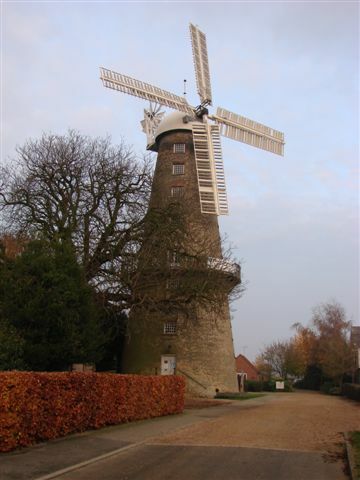 Moulton Windmill is removed from the 'at risk register'! Admission to the Granary tearooms and the Mill shop is free of charge.